This pair of bedside chests come from our Jolie Range. 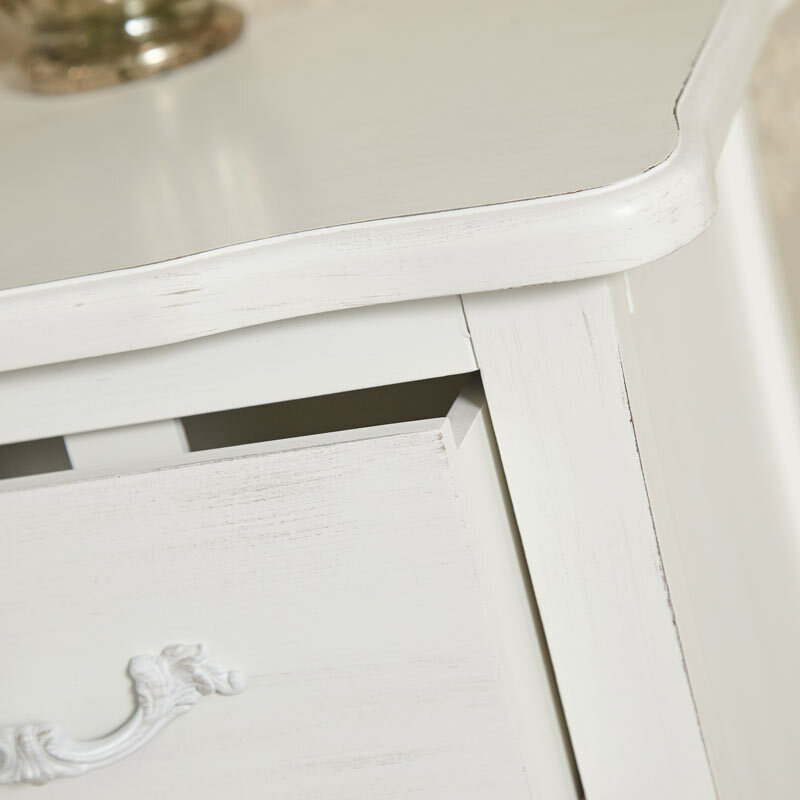 This stunning furniture comes in a white painted finish and will look perfect in a French style bedroom. In a set of 2 that is ideal for sitting at either side of the bed to offer an elegant and practical storage solution. Each bedside comes with 2 drawers that will easily hold chargers and accessories. The fronts feature ornate carving that epitomises the classic French style. We have a wonderful selection of furniture in the Jolie Range. 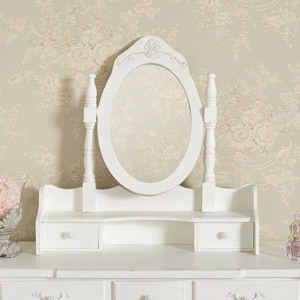 Create the dream bedroom with the dressing table set, wardrobe and chest of drawers. 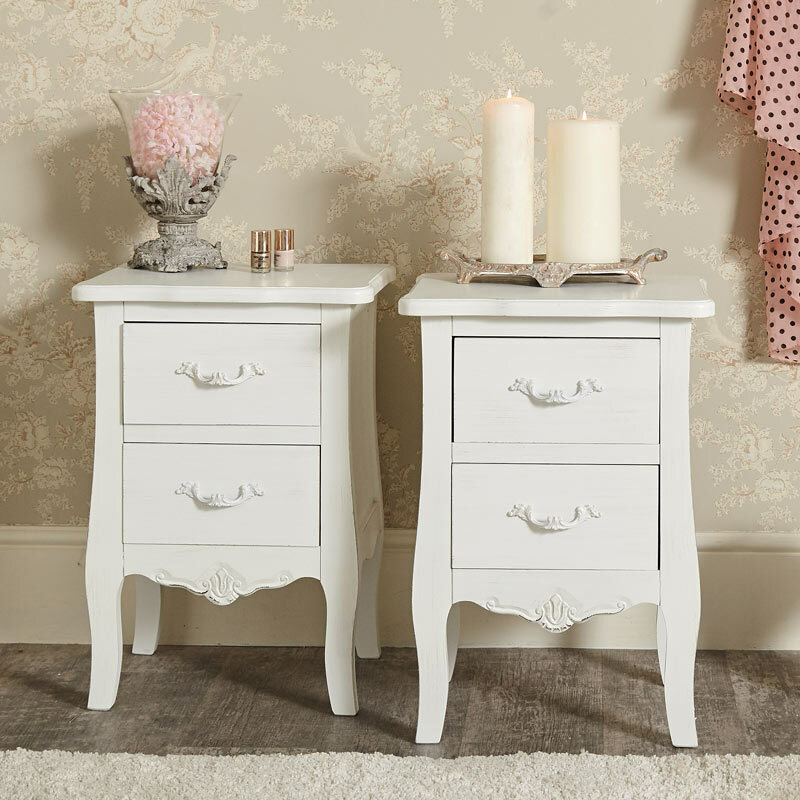 This pair of bedside chests come from our Jolie Range. 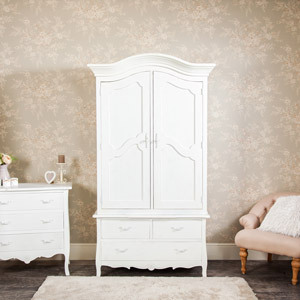 This stunning furniture comes in a white painted finish and will look perfect in a French style bedroom. In a set of 2 that is ideal for sitting at either side of the bed to offer an elegant and practical storage solution. Each bedside comes with 2 drawers that will easily hold chargers and accessories. The fronts feature ornate carving that epitomises the classic French style. 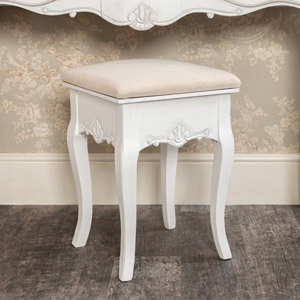 We have a wonderful selection of furniture in the Jolie Range. 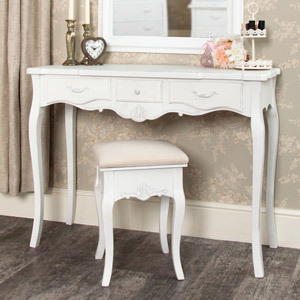 Create the dream bedroom with the dressing table set, wardrobe and chest of drawers. Made from wood and painted in white with a ditressed effect to create vintage appeal. The height of the two drawers are 12cm each. With a full range of Jolie Furniture available be sure to look at all the other items to complete your dream French chic bedroom.